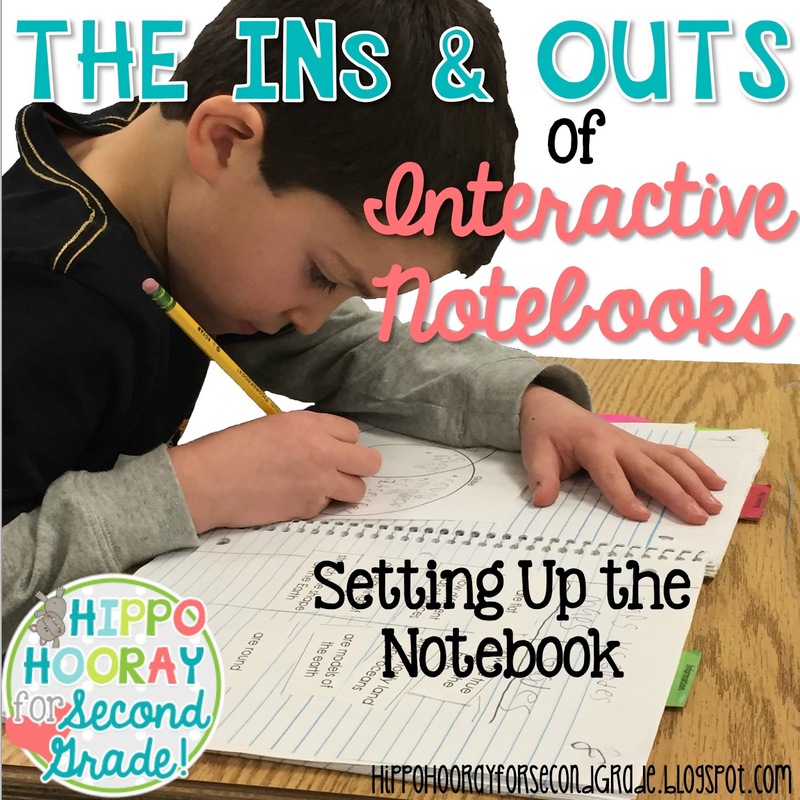 Interactive Notebooks: Setting Up the Notebook - Hippo Hooray for Second Grade! Now that we have AMAZING lessons all planned out, it's time to start teaching. First we need to set up our notebooks. 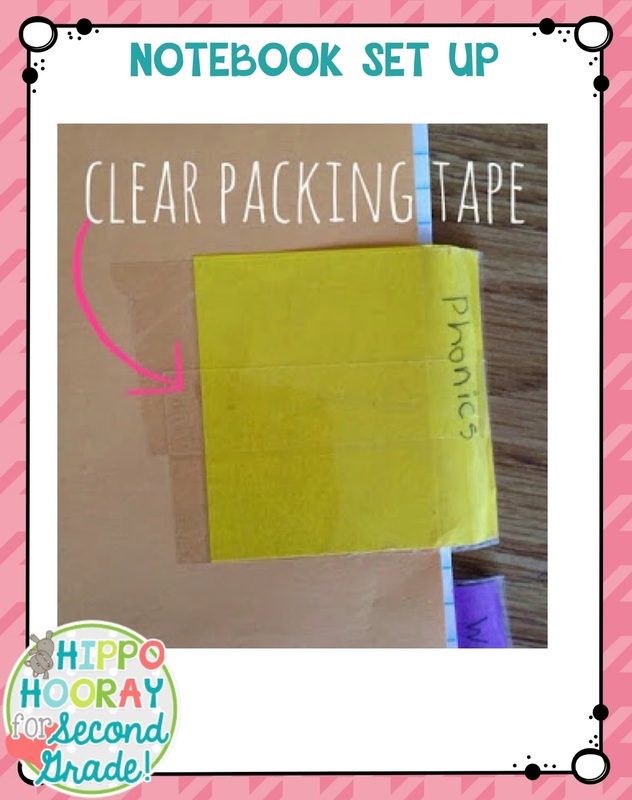 Materials Needed: notebooks, red and green card stock or construction paper, sticky notes, clear packaging tape. My kids bring in 3-one subject spiral notebooks and 1-three subject notebooks at Open House before school starts. 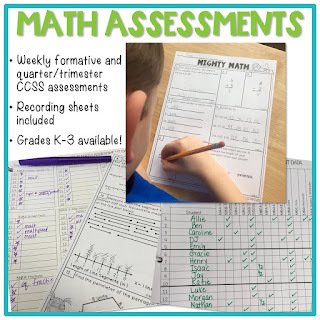 We use the one subject notebooks for math, science, and social studies. 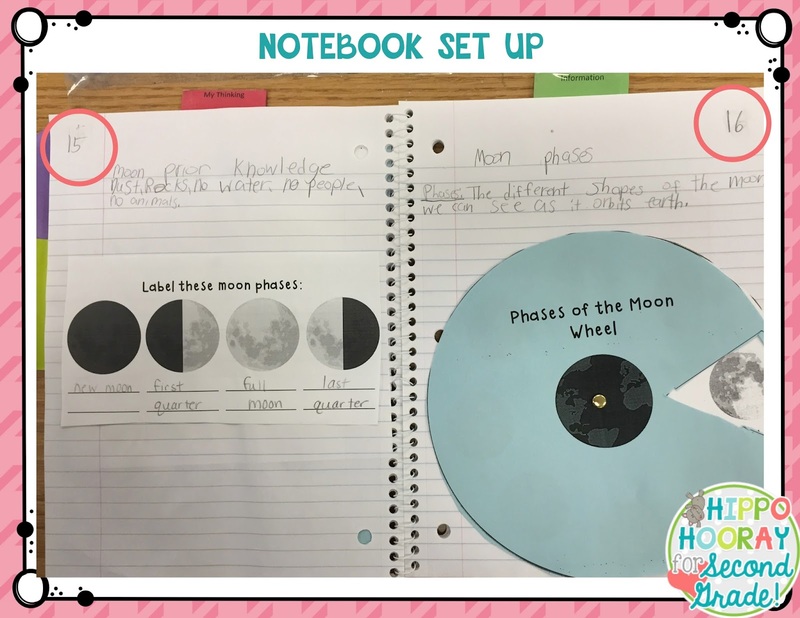 The three subject notebook is our literacy notebook. 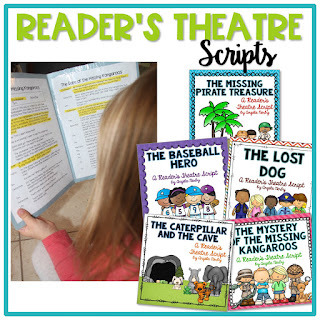 One subject for reading, phonics, and writing. I choose to use spiral notebooks rather than composition notebooks because they're bigger and cheaper. 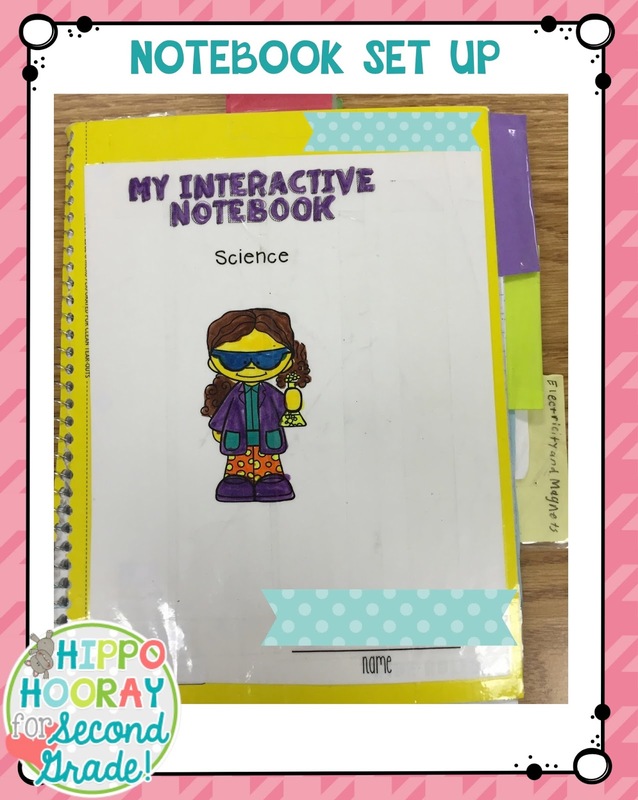 I get to work right away labeling the Thinking Side and the Learning Side of the notebook. 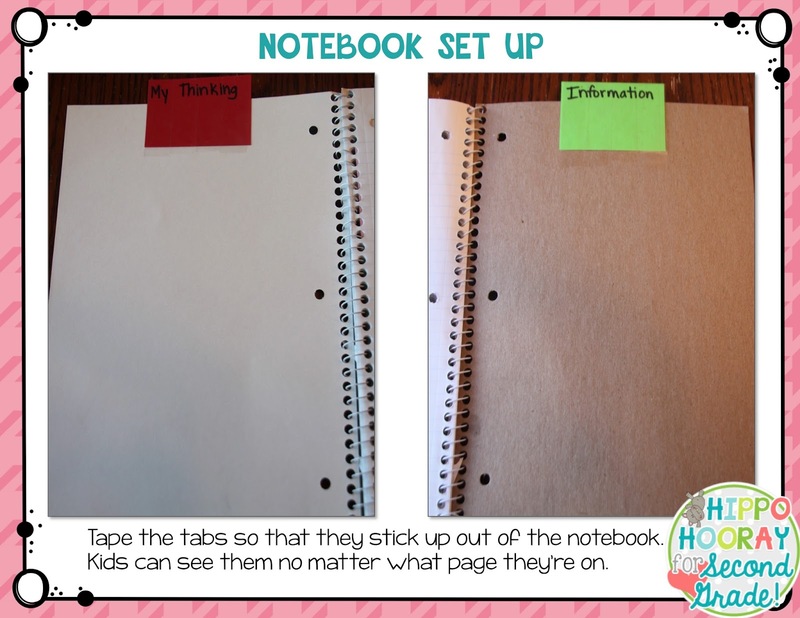 I use card stock or construction paper to make tabs that stick up out of the notebook. That way, no matter what page my students are working on, they can see the Thinking/Information tabs at the top of the page. I use red paper to label the thinking side and green paper to label the learning side. I chose these colors for a reason: Green means Go… Go ahead and write down the new information. Red means Stop…. Stop and think about what you just learned. This year I typed them onto the paper, but last year I hand-wrote them all. Yes, you can imagine how long that took me… Then I "laminated" the tabs with clear packaging tape. I covered the front and back of the tabs with the tape so that they are sturdy. I choose to put my Learning/Information Side on the right and the Thinking Side on the left. Yes, I know that seems a little backwards, since we typically write on the information side first; however, I always tell my students we need to stop and think about what we've learned, and I like the physical "going back" to the left side to write down our thoughts. On the back cover I also put an envelope to store small pieces. This year, I had a parent make me some out of construction paper and staple them to the back cover. You could also buy real envelopes if you wanted to. I don't put envelopes on my three subject notebooks because those have folders inside the notebooks, so we just use that to store our odds and ends. 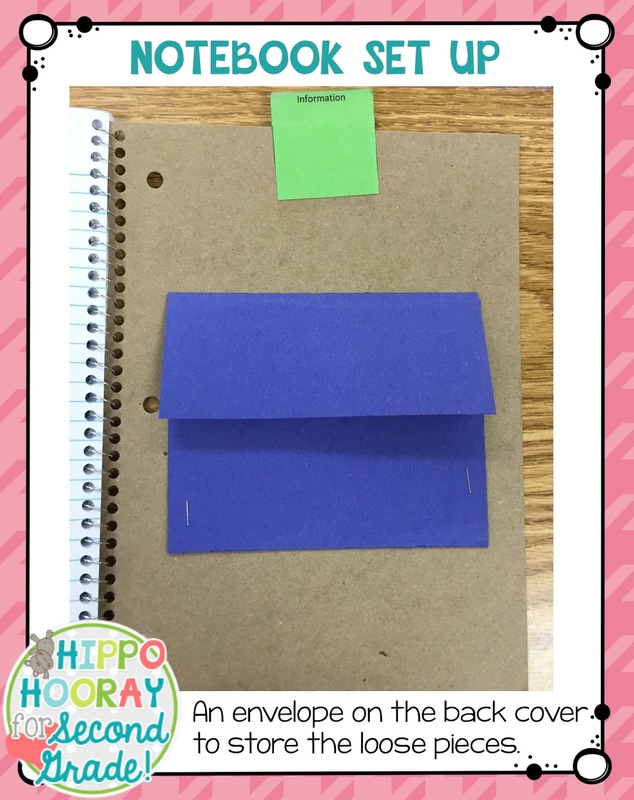 I've also seen people attach a piece of yard or ribbon to the back cover for students to use as a bookmark to keep track of what page they're on. I tried that two years ago, but I found it to be more of a hassle than something helpful. This Little Love is awfully tough on herself when she gave her After Learning ratings! The next step in notebook set up is numbering the pages. Each lesson needs two pages, so I just count the lessons and double it. 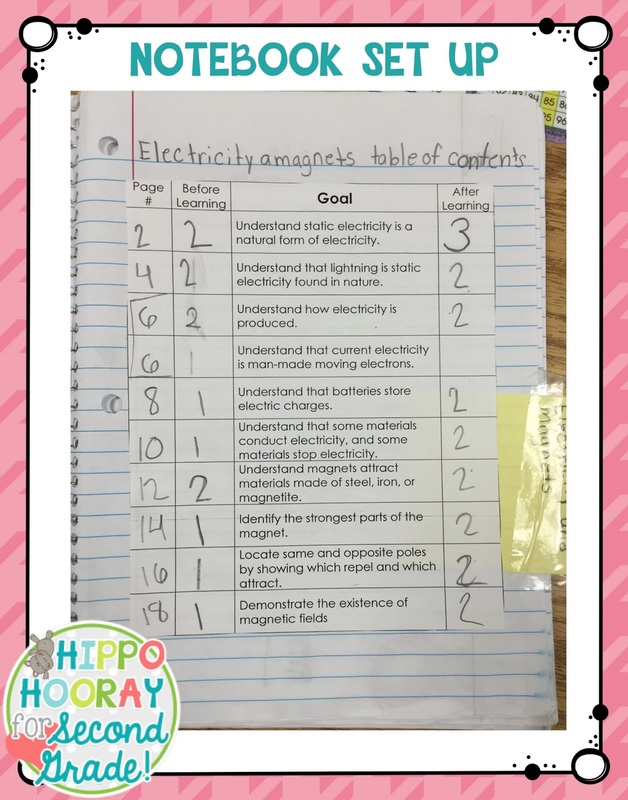 Students write the page numbers in the upper corner of each page. 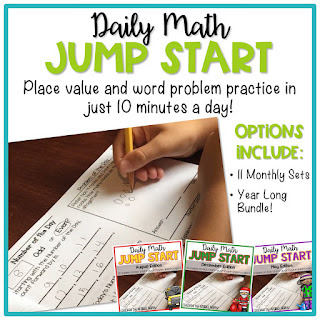 Students just use the red margin lines to guide where they write their numbers. 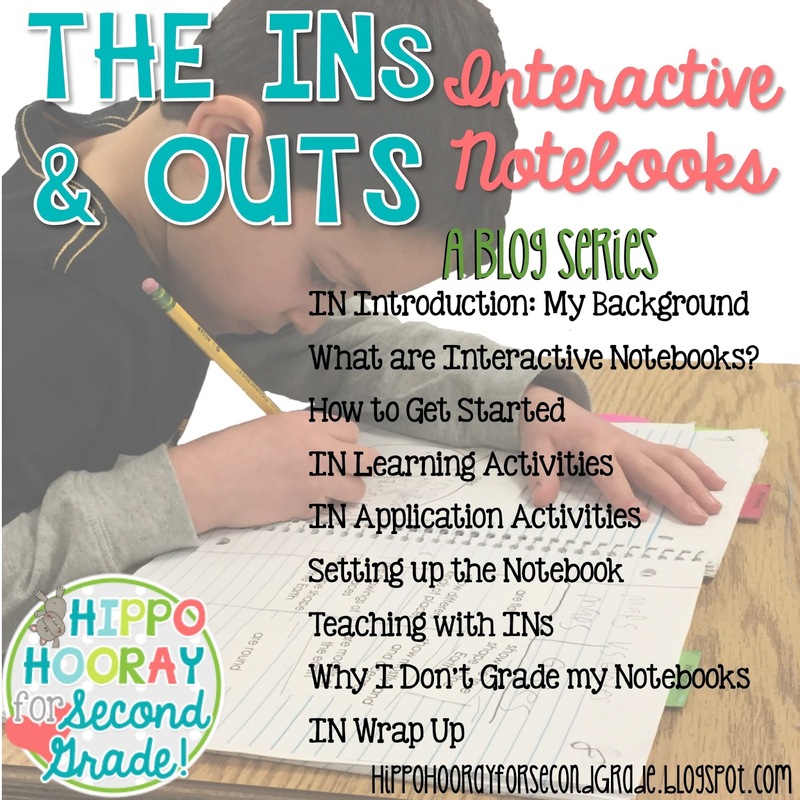 Click here if you'd like a copy of my interactive notebook covers! 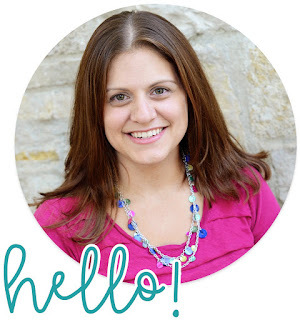 So you might be thinking… if you don't use a book mark, then how do your students know what page they're on? I've seen people cut the bottom corners of their used notebook pages, but I haven't tried that. It seems like a good idea in theory, but if we don't have our scissors out, then it seems like an extra step. I also don't want 21 little paper triangles all over my floor. Honestly, my kids just know what page they're on. Even the slow pokes. 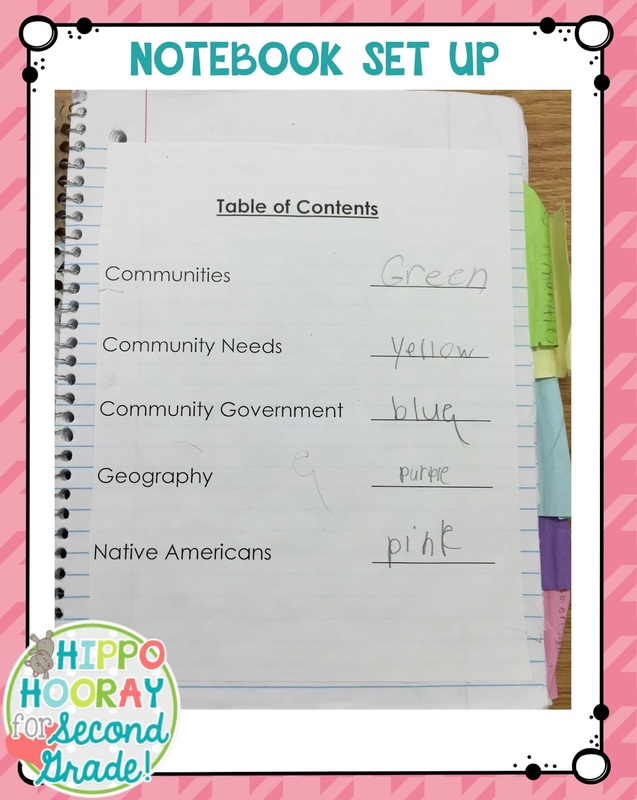 We start every lesson on the table of contents page, and with the sticky notes, they can get there very quickly. My literacy notebook doesn't have a table of contents because it's more of a mishmash of skills and strategies, rather than whole units. 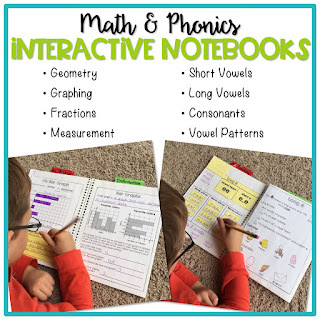 So when we're working in our literacy notebook, I'll just say "Open up to the next clean page of the _______ section (reading, phonics, writing) in your Big Literacy Notebook." Then I circulate the classroom and help those that need it to get to the right page. I think that's it? Did I miss anything? Let me know in the comments section below if you have any questions! So excited to read this post!! I LOVE your organization. This is my goal for next year. I cannot wait to get started!! Thanks so much for sharing! !